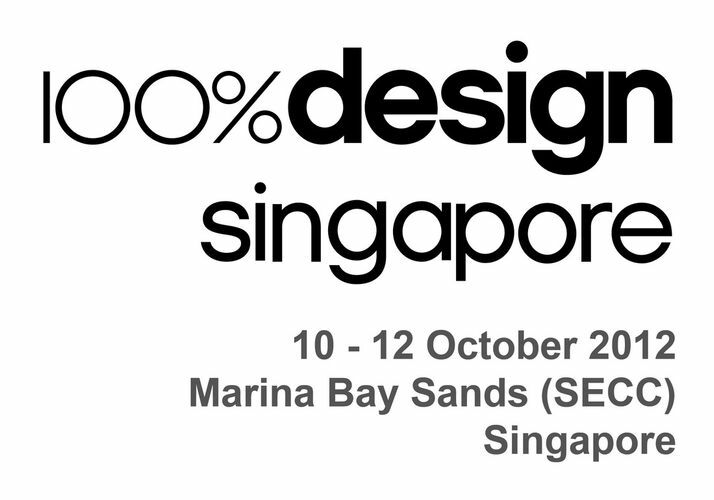 100% Design Singapore - the first and only curated exhibition for design-led interiors in Southeast Asia. 100% Design Singapore showcases the latest trends in interiors and spans the gamut from exquisitely designed furniture and lighting to bathrooms and kitchens - as well as the best in floor and wall coverings. Visitors can look forward to conferences, site visits, and a plethora of thematic activities at 100% Design Singapore - making it the definitive and complete platform to experience new products and spark partnerships for residential, commercial, and retail projects. This convergence of the top products and players in the global design industry - specifically handpicked for their innovation - creates a display of cutting-edge creativity and originality to delight interior designers, architects, retailers and specifiers.